Redbox and Warner Brothers have re-instated the 28-day rental embargo, but not without the former gaining something out of the deal. 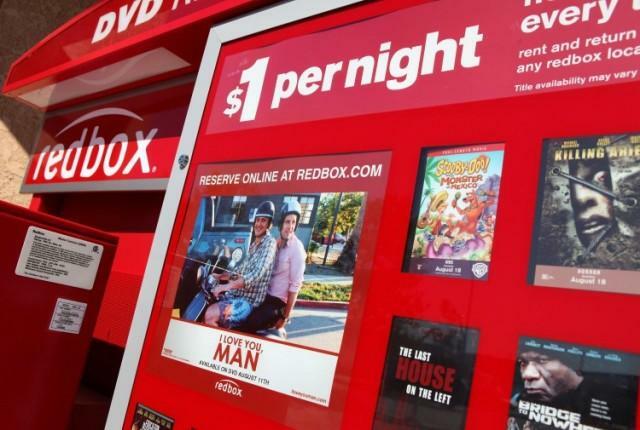 Earlier this week it was announced that Redbox was lifting its 28-day rental embargo on brick & mortar video stores, but there was no news on what would happen with kiosks such as Redbox. It seems there was a reason for that, however, and its good news for Redbox’s upcoming streaming video service, Redbox Instant. Earlier this year Redbox and Warner Brothers parted ways when the movie studio wanted to extend the rental window to eight weeks, and went back to day and date offerings by using third-part suppliers. This new deal will see the two companies once again to working with one another, it will also see Redbox promoting the UltraViolet steaming media solution that Warner Brother favors. In exchange for all of this, Warner Brothers will supply feature length content to the Redbox Instant by Verizon service when it launches later this year. It seems like for once this may be an actual win-win situation for all the parties involved. OAKBROOK TERRACE, Ill. – Redbox, a wholly owned subsidiary of Coinstar, Inc. (Nasdaq: CSTR), and Warner Bros. Home Entertainment have signed a multi-year agreement to bring Warner Bros.’ Blu-ray Disc™ and DVD titles to Redbox® kiosks 28 days after their retail release dates. In addition, Redbox announced plans to join the Digital Entertainment Content Ecosystem (DECE) and has agreed to promote UltraViolet through a program of mutually agreed-upon promotions and marketing tactics designed to help retail customers discover UltraViolet. For titles with street dates between January 1, 2013 and December 31, 2014, the studio will grant Redbox the rights to offer Warner Bros. theatrical titles on Blu-ray Disc and DVD 28 days after their retail release dates. The arrangement will improve the economics for both Warner Bros. and Redbox while ensuring consistent availability of Warner Bros. titles for the consumer. Warner Bros. Extends Digital and UltraViolet Deal to Redbox InstantTM by Verizon Warner Bros. Home Entertainment has also inked a separate deal with Redbox Instant by Verizon, the joint venture of Redbox and Verizon set to launch later this year, which plans to offer digital movies together with the convenience and value of Redbox DVD and Blu-ray Disc rentals. This agreement will make Warner Bros. titles available in VOD and EST formats and allow Redbox Instant by Verizon to support and distribute Warner Bros. UltraViolet-enabled movies. The deal also covers a multi-year SVOD agreement supporting feature-length content. “This agreement fits perfectly with Redbox Instant by Verizon’s vision for bringing people the movies that matter, wherever and whenever they choose, using the devices and media they prefer, at home or away,” said Shawn Strickland, CEO, Redbox Instant by Verizon.